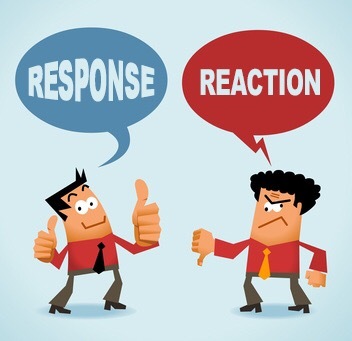 Choosing and using a reasonable response when I dislike or am hurt by another’s actions, words or behavior is one of the most important ways for me to achieve emotional sobriety and happiness. I am extremely sensitive. EXTREMELY! I have a history of not pausing when agitated, not being able to restrain my words or control my actions in response to feeling upset by another. And gracing the space between the impulse and the action has not come easily for me. But by consistently working a daily set of specifically outlined actions designed to increase my connection to the program and my higher power, I’ve managed, little by little, to become better at the art of responding rather than reacting. And when I’m able to do that, rather than jumping into another person’s anger, fears or frustrations, ILML!